The Commission seems to have brilliantly used the 8th August attack as a sample to study and diagnose the ailment as well as prescribe an efficient treatment plan. PHOTO: AFP. August 8, 2016 came with a devastating tragedy for the people of Balochistan, especially for the lawyers’ community therein. The president of the Balochistan Bar Association, Mr Bilal Anwar Kasi, was murdered not far from his home in Quetta. The murder, as it turned out, was only the first of two terrorist attacks. Mr Kasi was killed to lure citizens to the hospital where another tragedy struck. 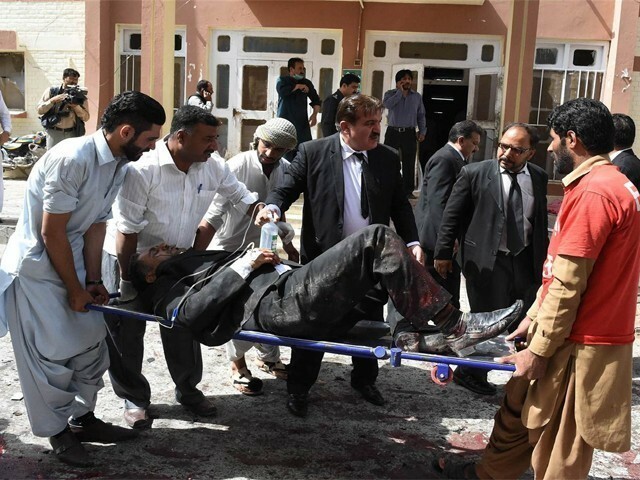 A suicide bomber detonated his vest amidst a congregation of lawyers gathered for their departed friend and colleague. Seventy perished, 112 were injured; most of them lawyers. The tragedy that befell Quetta that day did not just claim ordinary lives; it took many of Balochistan’s thinkers, educated elite and fine legal minds. It may suffice to be deemed a tragedy for the people of Balochistan and Pakistan, but for the victims’ families and the legal fraternity, it was nothing short of a calamity of catastrophic proportions. As after any terrorist attack – that unfortunately Pakistanis are not unfamiliar with – condolences were sent, solidarity was expressed, resolves were made and soon, life went on just the same. 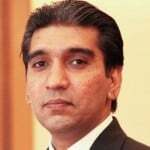 But then the Supreme Court of Pakistan took a Suo Moto notice of the August 8th attacks and vide order dated October 6, 2016, nominated Justice Qazi Faez Isa as a single member commission to inquire and “look into from all the relevant aspects of this multi-dimensional tragedy”. A little over four months later, on December 13th, Honourable Justice Qazi Faez Isa submitted his report; “The Quetta Inquiry Commission Report”, in the Supreme Court of Pakistan. Some dubbed this report a “charge sheet” against the federal and provincial governments and, particularly, against the Federal Interior Minister. But let’s give political point-scoring and the blame game a rest. We have lost enough lives, shed enough blood and seen enough death to merit coming out of our selfish, short-sighted and shallow shells. The report has been attacked and defended at several forums but unfortunately its gravity seems to have gone unnoticed by both who agree and disagree with its findings. It is not a charge-sheet against any government or individual. It is a wake-up call for everyone; all political parties, all law enforcement agencies, every parliamentarian, policy maker, each and every one of Pakistan’s citizens. Sadly, our usual response to such wake-up calls is hitting the “snooze” and going back to sleep. Justice Isa has done this nation a great service and his report merits serious consideration as opposed to being shelved in some record room only to be used as a reference for someone’s dissertation or in some case twenty years from now. It deserves a status higher than that of a “hot topic” discussed in talk shows for a few days and consequently pushed back by some newer, hotter news. It has to be, needs to be discussed, debated and deliberated upon in the Parliament, as soon as the Parliament gets its own status back. The follies and flaws identified in this report need to be addressed, questions need to be asked, and answers so desperately need to be sought. The report calls for governmental and institutional introspection. In 2015, the General Elections Inquiry Commission conducted a complex exercise and submitted its report. It was an elaborate commentary on the flaws of our electoral system and recommended solutions and reforms for improvement. The report was met with applause by the relieved and criticism by the disappointed, discussed and analysed and then discussed some more. Though nothing good has come out of it yet, since the consequent electoral reforms remain in limbo till date. Justice Isa’s report is equally, if not more, significant. It is an elaborate commentary on all that is wrong with Pakistan’s anti-terrorism stand. The report covers several aspects of our strategy to counter this vile affliction. It exposes loop holes that remain even after having been pointed out time and again. Despite having lost more than 60,000 lives and incurring financial losses worth trillions, there are faults and flaws in both the policy and its implementation. Confusion persists at the top level regarding jurisdictions and Federal departments seem unclear on their domain. Punjab seems to be the only province to have established an advanced forensics laboratory. Proscriptions of organisations that facilitate, promote, or endorse terrorists and terrorism is delayed in some cases and rendered ineffective in others. Nepotism seems to be an established norm for appointments to critical posts and positions, which results in criminal incompetence that facilitates law-breaking and, in some cases, terrorism. All these observations, along-with several other vital findings have been made in Justice Isa’s report. The Commission seems to have brilliantly used the August 8th attack as a sample to study and diagnose the ailment as well as prescribe an efficient treatment plan. Illegal appointments, callousness of government functionaries, institutional incompetence, unchecked and flagrant violations of rules and laws, irresponsible handling of terrorism related news by the media, power politics among law enforcement agencies with overlapping spheres, brazen misuse of public funds, absence and mismanagement of resources, maladministration, messed up priorities and politics over the dead and devastated, have all contributed to where we stand today. There is no institution solely responsible, no political party liable alone; each government, every official and all political parties who have held the reigns of this country or a relevant department since the on-going spree of terrorism started in 2001/2002, are responsible for the shortcomings that have paved the way for further terrorist attacks. One can only hope that those in positions of power today, policy makers and the officials responsible for its implementation, will rise up to the challenge and do their best to curb this menace that has already taken too many of our own from us. But first, have you; our policy makers, legislators and political party leaders, actually read Justice Isa’s report? I have an answer to that question based on my limited understanding of our political, legal and executive system, and I so desperately want to be wrong. It cannot be denied that terrorism in Pakistan has lost ground in recent past owing to some very effective measures at the State level. Loop-holes, however, remain and are capable of enabling the monster to bounce back. If these shortcomings, as pointed out in Justice Isa’s report, are ignored, the responsibility for any relapse and consequent damage would rest on all our shoulders more than the terrorists. May Allah guide us, protect and save us from terrorism and terrorists, and from our ignorance and complacency before that. Amen!